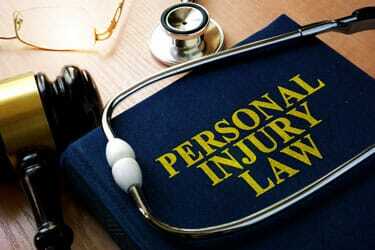 In the United States, the vast majority of personal injury claims are resolved without ever going to trial. In fact, the Bureau of Justice Statistics (BJS) reports that more than 95 percent of personal injury cases eventually reach settlement at the pre-trial stage of the process. For injured victims, a settlement is ideal. You need your full compensation so that you can pay your medical bills and provide financial support for your family, and you need that compensation without delay. Of course, not all settlements are good deals for victims. You should never agree to an unfair settlement offer. You need the maximum compensation available under the law. How much is your Texas personal injury settlement worth? The answer: it depends. While this may not be a satisfying answer to get when you are at the early stage of the claims process, it is important that you understand that every personal injury claim is unique. Whether you were hurt in a slip and fall accident or a commercial truck crash the value of your claim will vary based on several different factors that are entirely unique to your case. At Sutliff & Stout, our Houston personal injury attorneys are committed to helping injured victims maximize their settlement offers. To get a favorable settlement, you first need to know how to value and build your legal claim. In this article, our legal team highlights the most important things that you need to know about Texas personal injury settlements. With very limited exceptions, a personal injury settlement offer is meant to be entirely compensatory in nature. Put another way, this means that you are generally only entitled to monetary compensation that is equal to the ‘value’ of your losses. If you did not sustain damages, then you do not have a legal claim. For example, consider a scenario in which there were two different Houston pedestrian accidents that appeared to be nearly identical to the naked eye. These two hypothetical personal injury cases could ultimately result in far different settlement amounts. If one of the pedestrian accident victims required extensive physical therapy to recover from a severely broken leg, and the other was able to escape any serious long-term physical damage, far different figures will be used to calculate the value of the two personal injury settlement offers. This is one of the most important things that you need to know about the Texas personal injury claims process. Each claim is based on the total damages sustained by the victim. You deserve compensation for the full value of your damages. You should not let yourself be pushed into an unfair, lowball settlement offer that does not properly account for your losses. The Exception: In certain extraordinary circumstances, punitive damages are available in Texas personal injury cases. Punitive damages are not directly tied to the actual losses of the victim, but are instead awarded to punish the extremely bad behavior of the defendant. In order to obtain a full settlement offer, it is imperative that you properly document your damages. The big insurance companies will not pay out fair value unless you can present thorough documentation of your losses. This process starts with getting yourself all of the medical care that you need, and documenting that treatment. Of course, there are other ways to document damages as well, including documenting pain and suffering and other non-economic losses. At Sutliff & Stout, our Houston personal injury attorneys have deep experience putting together strong cases. We know how to document and present your damages to the insurance company. On a basic level, it is not especially difficult to put a dollar value on a hospital bill. If you have already been able to prove liability for your accident, and the defendant or their insurance company agrees that your medical care is necessary and related to your accident, then the value of the medical bill is relatively straightforward. This same logic applies to other economic damages, such as lost wages. However, non-economic damages are far more difficult to value. By their very nature, non-economic damages are intangible. There is no one number on a bill or pay stub that you will be able to point to as evidence. Unfortunately, insurance companies may try to use this inherent ambiguity to devalue non-economic damages like pain and suffering and emotional distress. If you were severely injured in an accident in Texas, you deserve full compensation for your pain and suffering. You should be represented by a skilled personal injury lawyer who has the experience needed to help you prove the fair value of your intangible losses. Insurance companies are big businesses. Ultimately, they will be looking out for their own bottom line. These businesses put a tremendous amount of time and energy into training their representatives. The goal of these insurance adjusters is relatively simple: look out for the best interests of the company. In practice, this means settling personal injury claims for the lowest amount possible. Insurance companies do not want to pay injured victims a full settlement amount. Their trained professionals have developed many tactics and strategies to push people into undervalued settlement agreements. For this reason, injured victims should always work with insurance adjusters through a top-rated Texas personal injury lawyer. Your lawyer will be able to ensure that you are actually getting a settlement offer that adequately accounts for your damages. At Sutliff & Stout, our Houston personal injury attorneys are committed to providing top quality legal representation to our clients. If you or a family member was hurt in a Texas accident that was caused by someone else’s negligence, we can help you maximize your settlement offer. For a free, fully confidential initial consultation, please do not hesitate to contact our law firm today.